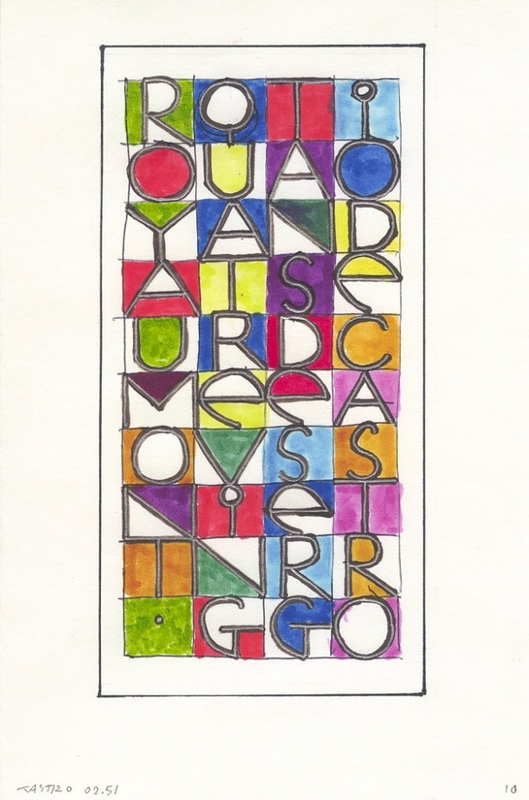 02.51, Inscriptions – Ten sketches for Sergio de Castro’s 80th birthday, celebrated at Royaumont the 15th September 2002. Different inks on paper and Bristol. A4 and half-A4 formats.